Local credit rating agency ICRA has downgraded its long-term ratings to C from B-. The short-term rating of the carrier had been kept at A4. Jet Airways too confirmed the downgrade in a regulatory filing. 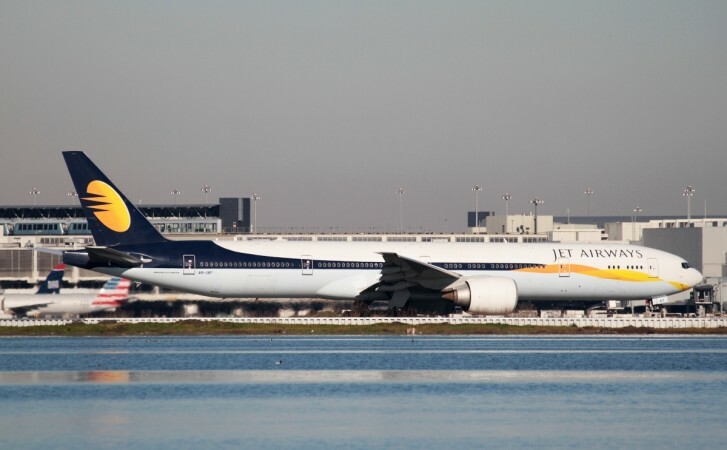 Even though Jet Airways has been in talks with several investors to raise funds, local credit rating agency ICRA has downgraded its long-term ratings to C from B-. The short-term rating of the carrier had been kept at A4. The rating has been downgraded to C, keeping in mind the full-service airline's debt instruments such as long-term loans of about Rs 49.70 billion, fund-based facilities Rs 6.45 billion, and non-convertible debenture programme of Rs 6.98 billion, to name a few. "The rating downgrade considers delays in the implementation of the proposed liquidity initiatives by the management, further aggravating its liquidity, as reflected in the delays in employee salary payments and lease rental payments to the aircraft lessors," the Week quoted ICRA analysts as saying. Jet Airways too confirmed the downgrade in a regulatory filing. Debt instruments with a C rating are considered to have a very high risk of default, while A4 rating is allowed to those instruments that are said to have minimal degree of safety, when it comes to timely payment. After Jet Airways' rating was downgraded to C, the carrier's shares slipped about 2.4 percent intraday on Friday, December 7. At about 3 pm, Jet shares were valued at Rs Rs 276.10 at the Bombay Stock Exchange. Meanwhile, ICRA had warned of a downgrade, before it made a decision and an official had said that many of the carrier's fund-raising plans hadn't worked out as expected. "We have undertaken a rating review of Jet Airways as none of the airline's proposed fund raising plans have materialized yet. This is expected to lead to further financial distress in the company and we are watching the situation closely, a senior official at ICRA, told Arabian Business. The full-service airline has been going through a severe cash crunch for a while now, and has been in talks with several investors to raise funds. Just a few weeks ago it was said that owner Naresh Goyal had turned to Reliance Industries' chairman Mukesh Ambani. While Reliance Industries has never involved itself in the aviation sector until now, Goyal was said to have gotten in touch with Ambani in his personal capacity. "In the past, Reliance Industries has ruled out any investment in the aviation sector and turned down various offers, including bailing out defunct Kingfisher Airlines, but this time, Goyal has approached Mukesh Ambani in his personal capacity," a source in the know told LiveMint. Goyal, who owns a 51 percent controlling stake in Jet, was also known to have discussed the offer with chairman emeritus of Tata Group Ratan Tata. Another source told LiveMint that the Tata Group had shown an interest in bailing out Jet Airways, but it depended on Goyal and his willingness in giving up his controlling stake. Jet is also said to have reached out to UAE-based Indian businessman Yusuff Ali MA and Goyal was said to be discussing a bail-out plan with him. Jet Airways CEO Vinay Dube too had revealed that the carrier was trying to secure funding from various sources. "We are in active discussions with various investors to secure sustainable financing to navigate through the current headwinds and create long-term growth. There is interest in our strong brand and confidence in our business turnaround efforts," he had said in a letter to Jet's frequent flyers.